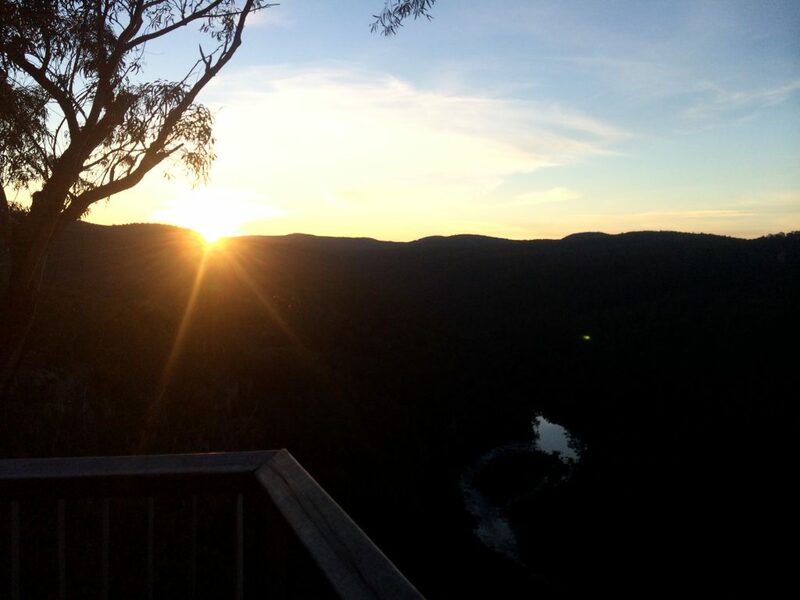 The Mitchell River Walking track, located in the Mitchell River National Park in the Gippsland region of Victoria, is a near 21-kilometre Grade 4 trail that has everything from beautiful rainforest gullies to stunning views from its various lookout points. 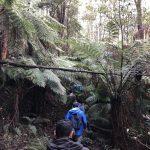 Often hiked as a one-way trail, you can start at one of two locations – the Angusvale campground or the Den of the Nargun. 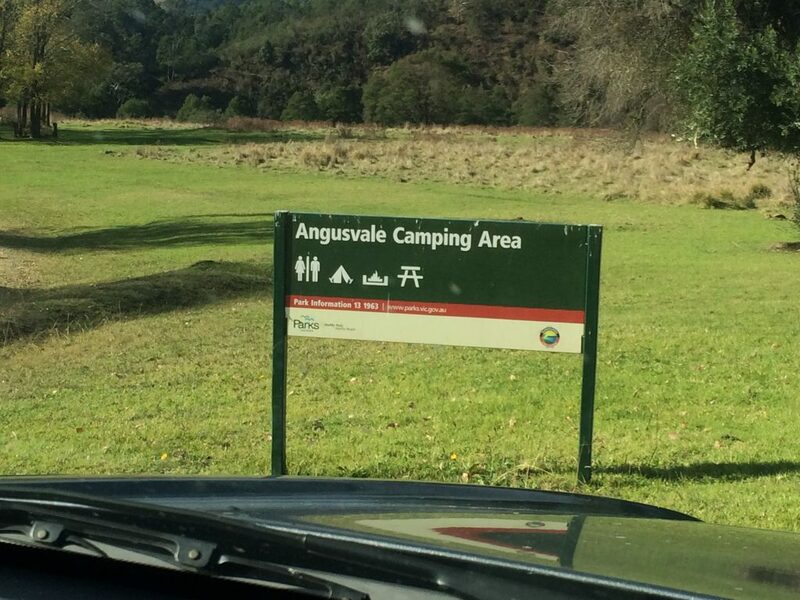 Angusvale is a wide open area with seemingly unlimited spots for you to pitch a tent for the night. It’s quite close to the river and, if you get up early enough, kangaroos can be seen in their droves. 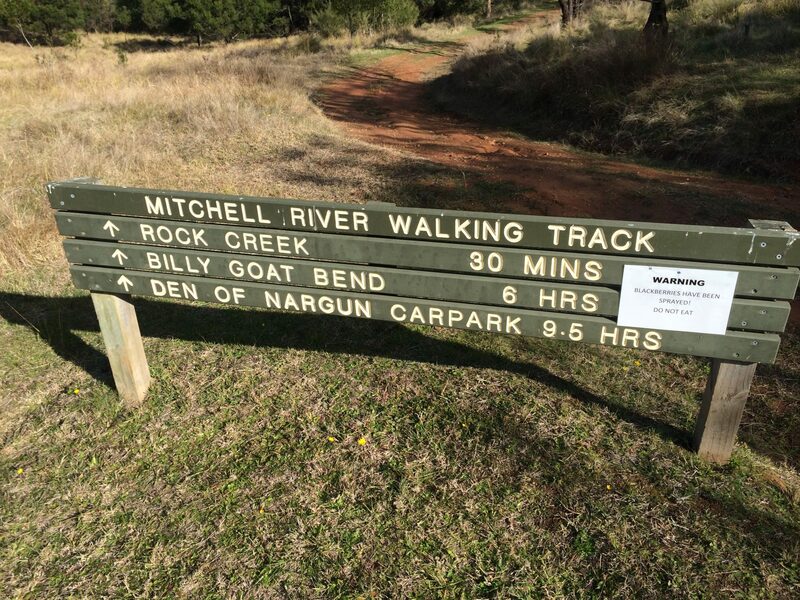 Whilst you can’t legally camp at the Den of the Nargun, there is a picnic area and car park situated here and a campsite located nearby at a spot known as Woolshed Creek. Again, it’s quite close to the river, so if you are camping here, there is ample opportunity to filter your water here. The only thing I will say about this campsite is that the ground is mainly clay and can be difficult to insert your tent pegs into it. However, there is an official campsite a little further south called Echo Bend Camp Ground. It’ll cost you $26 per head per night for an unpowered site. But, if you have a group of 10 or more, it’ll cost you $10 per head. It’s not the most well-run campground, but it is probably an ideal place to stay if you are walking the Mitchell River Walking Track. 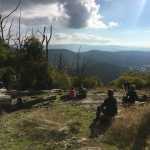 My friends and I started our hike from Angusvale, made our way down to the Woolshed Creek camp spot and back again. Whilst 21-kilometres may not seem long, it can be quite deceiving given how low the trail goes into the gullies and how high it goes to the top of the gorge. Particularly at the lookout point near Billy Goat’s Bend. So expect a good workout for your quads and calves. With that in mind, give yourself plenty of time during the day to complete the hike. While my friends and I completed the hike over a two day period, you could do it as a one-way trek and incorporate a car shuffle into it from either end. My suggestion would be to start no later than 9-9:30am. That way you can have a fair few breaks, take in all there is to take in, and still finish the day during daylight. 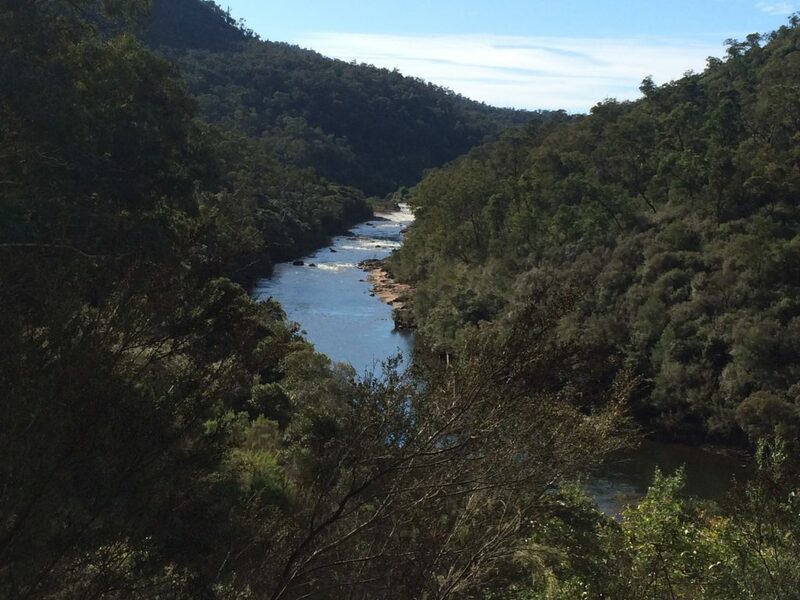 Furthermore, if you are feeling a little more adventurous, Mitchell River is also a great place to do some canoeing or kayaking. The track has also been known to be used for trail running events. To check out a map, and other information regarding the area, click here. 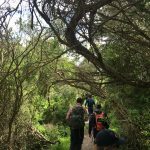 Day one of this hike (Angusvale to Echo Bend including Den of Nargun) can be found here via WikiLoc. Day two of this hike (Echo Bend to Angusvale) can be found here via WikiLoc.